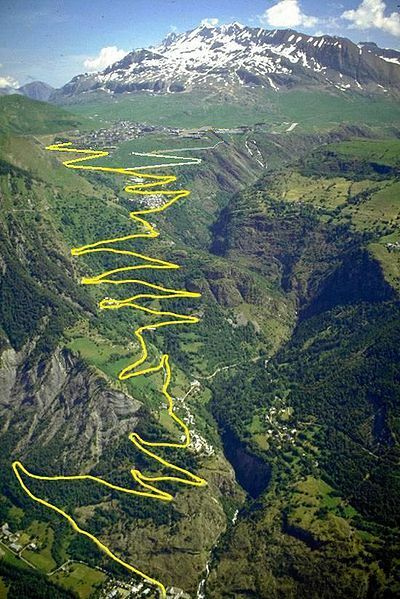 Alpe d’Huez: The nearby Galibier pass was first included in 1911 but the Tour did not climb the Alpe until 1952 when it was used for the race’s first ever summit finish. Fausto Coppi won. It was not until 1976 that the race returned meaning the road is a relic of the modern era as it established itself as a regular summit finish in the 1980s and 1990s. This suggests the sport’s pantheon of legendary venues can be opened up to include new places with relative ease. Alpe d'Huez: The nearby Galibier pass was first included in 1911 but the Tour did not climb the Alpe until 1952 when it was used for the race’s first ever summit finish. Fausto Coppi won. It was not until 1976 that the race returned meaning the road is a relic of the modern era as it established itself as a regular summit finish in the 1980s and 1990s. This suggests the sport’s pantheon of legendary venues can be opened up to include new places with relative ease.